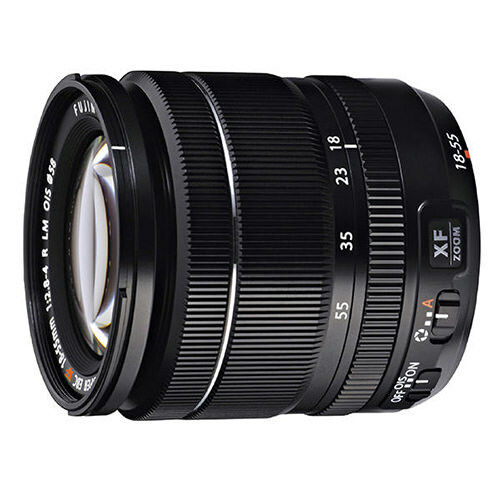 Lens Description: The XF 18-55mm f/2.8-4 R LM OIS Zoom Lens from Fujifilm is the first zoom lens for the X mount on their X-series interchangeable lens digital cameras, and is sure to find a home in the kit bags of many shooters who are already attached to this APS-C sized camera system. A versatile, compact lens that can travel easily and respond to a range of shooting situations, the XF 18-55mm has focal lengths that run from 27-84mm in the 35mm format. This covers a standard zoom range from basic wide-angle to medium telephoto and is ideal for day-to-day shooting needs from group shots to portraiture, cityscapes to natural vistas. It\'s a great lens for street photography as well. This is a versatile and well-performing standard zoom. With a 27-82,5 eq. focal range, it usually stays on the camera. Seems to be well built, with metal front to back. Switches for OIS on/off, auto/manual aperture ring. AF/MF must be set on the camera. Pros: Sharp. Sharper than the entry level 16-50, and images look more natural. Not as sharp as the 23 f/1,4 or the 60 f/2,4, but still sharp. Also not as sharp as Nikon 24-70 f/2,8G, but that is not a fair comparision. It is not as sharp as primes tend to be, and fuji primes do outperform this zoom. OIS is OK, not spectacular but not rubbish. I’d leave it off as long as the shutter speed stays shorter than 1/100s. Cons: Soft corners wide open, and a bit vignetting. Not 100% consistent results through the focal range. Not constant f/2,8 aperture. No dust/weather sealing. Aperture ring does not have markings for each aperture. Some say this is a cheap kit lens for the X-T2, X-H1 and other Fuji cameras. I’d say it is a normal priced kit lens, it sits in the middle. Compared to ie Nikon zooms, I’d say it performs like the 24-85 f/3,5-4,5 G VR, I’d say it is OK for most situations and uses. 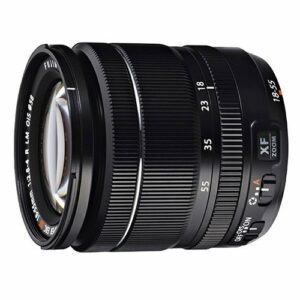 The next lens upwards in the fuji world is the 16-55 f/2,8. Weather sealed, constant aperture, expensive, heavy, big, but no OIS. For most people, the 18-55 would be a better choice due to price, size, weight, and OIS.